Last night while I was in Montrose for my routine caffeine fix, I saw a young girl frantically wandering around, clearly upset. As I approached her to ask what she needed, she eventually told me she was having a bad day. This sweet 14 year old human with tear-filled eyes thanked me for seeing her and caring. What she probably didn’t know was that I saw myself in her. We are all trying in this challenging and broken world, and sometimes it makes all the difference just to have someone notice and acknowledge our pain…our existence…our humanity. We don’t always have a grand solution, but a hug is a good place to start. During the darkest seasons of my life, it’s amazing how it was the simplest of things that caused a total transformation. I didn’t need someone who had all the answers…I just needed to know that my pain was unique…that I was seen…that I was loved because of, and in spite of, who I was. Because of this, I started the Hey, Sweet Human movement. 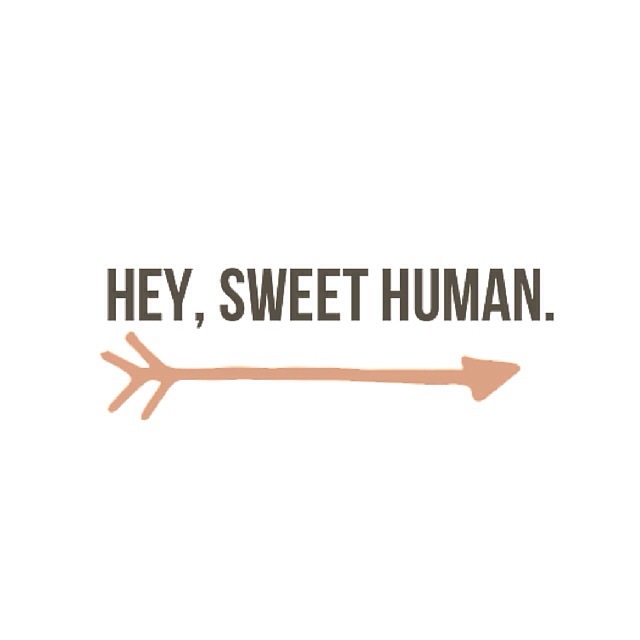 Hey, Sweet Human is a community that aims to ignite who we are at our core – the perfect light that’s been with us from the first moment we arrived. The world around us can be harsh, systems of thought and feeling often placing us in boxes and categories. Hey, Sweet Human is here to exemplify that y(our) only category is human, and your box doesn’t exist. That the dreamer you were as an eight year old is very much alive. These little reminders of truth can be life changing, and it all starts with you. Who can you lift up? Who can you love? Who needs your light? Let it shine by sharing your inspiration with others on Instagram by using the #heysweethuman hashtag…and make sure to follow @HeySweetHuman while you’re there. When you are in the dark, I want to remind you of the light you already are. Join the Hey, Sweet Human movement and keep shining your light. Previous postMaybe We All Just Needed to Grow Up.